The following is a conversation I had with a friend and a reader of Just Genesis. I provide a conclusion at the end which summaries some of the key ideas. There are related articles linked at the bottom also. David Dickens: I was going to ask you about non-Biblical Horite/Proto-Saharan texts. You've talked about a lot of how Genesis lines up with the culture and some of archaeological work in Africa, but I was wondering if there are other sources of narrative.﻿ I'm looking for the Nilo-Saharan equivalent of Beowulf, I suppose. Alice Linsley: The older Horus-Set narrative may be a close parallel. Horus, as the son of the Creator, comes to vanquish Set and claims the kingdom for the Creator God/High King. Not quite the same elements as in Beowulf. Set means bow, and the land of Nubia was called Ta-Seti, the "land of the bow." The Nubians were famous for archery. This narrative dates to around 5000 BC. Alice: There is much ignorance about Horus. Also, a great deal of nonsense on the internet about ancient Egyptian beliefs and magic.﻿ You might find this piece helpful: Ha'piru, Ha'biru, 'Apiru or Hebrew? David: There's certainly all the pieces there, but the narrative is missing. I can read the first few chapters of Genesis, Ramayana, Epic of Gilgamesh, legends of the Eight Immortals, Beowulf... there are so many ancient stories (some with meticulous detail, but all with unifying themes) but there doesn't seem to be one for Horus or the Ha'biru peoples. It seems almost all we have is archeological evidence and some descriptions from ancient historians. Alice: The Bible is the narrative of the Horite Hebrew/Ha'biru. It is the only consistent source of the Righteous Ruler narrative. Unfortunately, there are competing narratives in Genesis that produce contextual incongruities. Nevertheless, we know which is the older tradition. It is the one which speaks of the "Seed" of God (Gen. 3:15) coming into the world and trampling down the serpent. The work published at JUST GENESIS attempts to reconnect Christianity to that older Tradition. A late editorial hand, the Deuteronomist Historian (700-250 BC), introduced a new idea of God in YHWY. YHWY represents a rabbinic version in which there is no divine son. John's Gospel seeks to correct this. John explains that his purpose in writing is "that you may believe that Jesus is the Messiah, the Son of God." (John 20:31) Likewise, Martha professes that Jesus is Messiah, the Son of God (John 11:27), and John the Baptist bears witness that Jesus is the Son of God (John 1:34). David: So nothing extra-Biblical remains of the myths and legends of a people who touched three continents, spanned thousands of years and had a hand in every ancient civilization in the eastern hemisphere? I just doesn't sound right. I'm not saying the Bible isn't the bees-knees, I'm just surprised that its all that remains (besides a few hieroglyphs on some temple wall). There are artifacts and texts from among the Akkadians that testify to the belief in a Divine Father with a divine Son. In Akkadian texts the father is called Ani and the son is called Enki. Also there is the evidence of burial practices among rulers who were served by Horite Hebrew priests. The righteous rulers who were buried in pyramids from the Nile to the Tarum Valley of China hoped for bodily resurrection. That is why their bodies were mummified. It appears that their hope rested in the one who was pierced in the side, and died and rose from the dead on the third day. The Nilotic Horites held an annual a 5-day festival in which they mourned the death of the son of God. On the third day, the priests lead the people to the fields where they planted seeds of grain to symbolize his rising to life. David: I'll have to hunt them down then. I've never seen that sort of collection. The Horite expectation that the Righteous Son would not remain in the grave is expressed in Psalm 16:10: For thou wilt not leave my soul in hell; neither wilt thou suffer thine Holy One to see corruption. My assertion that the Ra-Horus-Hathor story from the ancient Nile Valley is a form of the Proto-Gospel has been labeled as an example of parallelomania. Such a claim reveals ignorance of what I have written. The Messiah is not a human invention patterned on the Horus myth. Horus is the pattern by which the Horite Hebrew expected a divine Son who would rule as Messiah, and Jesus is the only figure of history who fits the pattern. Further, Jesus is a direct descendant of the Horite ruler-priests, some of whom lived in Bethlehem and others of whom lived in Nazareth, the home of the 18th priestly division, ha·pi·TSETS (Happizzez). Jesus' Horite ancestry is demonstrated by the distinctive Horite marriage and ascendancy pattern as evident in scientific analysis of the Genesis King Lists. He is the "Seed" of the Woman, the long-expected Immortal Mortal who tramples down death and receives the eternal kingdom. Hathor is shown at the Dendura Temple holding her newborn son in a manger or stable. The stable was constructed by the Horite priest Har-si-Atef. Atef was the crown worn by deified rulers. The Arabic word atef or atif means “kind.” The ruler who wore the atef crown was to embody kindness and he was to unite the peoples, as Horus unites the peoples of the Upper and Lower Nile. The rulers of the two regions wore different crowns, but Horus was called "Horus of the Two Crowns" because he wore both. This is what stands behind the account of Yeshua/Joshua, the priest, receiving the "crowns" in Zechariah 6:11: "Take the silver and gold, and make crowns, and set it upon the head of Joshua the son of Jehozadak, the high priest..."
Of course, "Yeshua" is the Hebrew for Jesus. Horus is the only mythological figure in ancient Egypt who was understood to be a man, and as a man he wears the two crowns. Christianity is not an invented religion based on the Horus myth. It is a faith that emerges organically from a received tradition. A closer look at the details of that sacred and very ancient Tradition speak of life beyond the grave through the agency of a divine ruler, the Son of God, who overcomes death and leads his people to immortality. The details of the narrative are extremely important. One such detail is the third-day resurrection described in Pyramid Texts Utterance 667: Oh Horus, this hour of the morning, of this third day is come, when thou surely passeth on to heaven, together with the stars, the imperishable stars. The expectation of a Righteous Ruler who would overcome death and lead his people to immortality has been found to be a wide spread and rooted in deep antiquity. It can be traced to the Nilotic belief in the bodily resurrection. In the Coffin Texts, the king is to be immortal in his flesh, expressed by his eating and drinking. Egyptologist Louis Vico Žabkar argues that the Nilotic concept of the "ba" is not a part of the person but is the person himself. The idea of a purely immaterial existence was entirely foreign to the Horite Hebrew. They were confident that the body and spirit could be united after death and thus the "second death" could be avoided. This reality is lost in translation. The Septuagint borrowed the Greek word ψυχή psychē to describe the soul instead of the term ba to describe body. Žabkar concludes that the concept of the ba is so essential to ancient Egyptian thought that it would be better to used the exact term or explain the distinction in a footnote or parenthetically. In The Pyramid Texts, dating from the beginning of the 4th dynasty, we read: "O Hunger, do not come for me; go to the Abyss, depart to the flood! I am satisfied, I am not hungry because of this kmhw-bread of Horus which I have eaten." (Utterance 338) The Egyptian word km means to bring to an end, to complete, or fulfill, and hw refers to the heavenly temple or mansion of the firmament above. Certainly, there are messianic elements found among peoples who were not Horite Hebrew. In Hrothgar's view Beowulf is divinely appointed to save his people and he "was led like a lamb to the slaughter" (Is. 53), being betrayed by one of his own inner circle. There are other messiah-like figures in history and literature. The American mythologist, Joseph Campbell, called this the "Monomyth." In his fourth "Eclogue" (written between 42 and 27 BC) Virgil prophesied that a child would be born who would bring peace to the whole world. These are relatively recent, however. The hope of a righteous ruler who overcomes death and leads his people to immortality can be traced to at least 5000 BC. Messianic expectation predates Abraham and appears to have originated among the Horite Hebrew priest caste that served in the Sun shrines that were found from ancient Nubia to Anatolia and from Edom to the Indus Valley. The Horus narrative is a form of the Proto-Gospel. 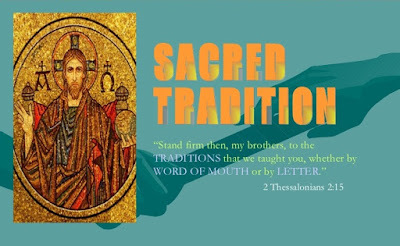 Here we find a central truth of the Messianic Faith: that the divine Father has a divine Son. Allusions to the Father-Son relationship appear in ancient Nilotic texts and in the Psalms. This expectation was expressed about 1000 years before Psalm 91 in the Pyramid Texts. Jesus’ Horite ancestry is attested by analysis of his ancestry using the king lists of Genesis and the genealogical data of the Matthew and Luke. These reflect the Horite Hebrew marriage and ascendancy pattern. We are not speaking here of trifling resemblances between the myth of Horus and the historic Jesus. Scripture itself indicates that Abraham and his people were a caste of ruler-priest devotees of Horus. The Horus name appears among many Hebrew figures. 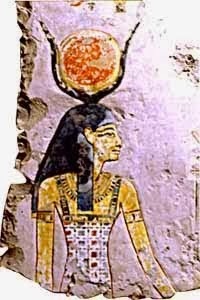 Hathor was venerated among the Horite Hebrew metal workers. A temple dedicated to Hathor was discovered at the southwestern edge of Mt. Timnah by Professor Beno Rothenberg of Hebrew University. This is the site of some of the world's oldest copper mines. Some of the Horite Hebrew rulers are listed in Genesis 36. They ruled in Edom, the same territory that God gave to Abraham. The Horite Hebrew expected a woman of their blood lines to bring forth the "Seed" of God in accordance with the biblical promise in Genesis 3:15. The Proto-Gospel upholds the Father-Son relationship, but this theme is later suppressed by the YHWH cult. YHWH has no son. Messianic expectation involves the crushing of cosmic forces that oppose the Creator. He who crushes receives in His divine and sinless person the suffering that sinners deserve. He was pierced, scourged, and crowned with thorns. Four centuries before Jesus was born, Plato describes an ancient belief concerned the "Just One"who would be "scourged, bound and crucified." (Republic ii, Chapters 4 and 5). He did not learn this from the Jews. Rather, it was an expectation held among the Nilotic priests, one of which was Sechnuphis, under whom Plato studied for 13 years at Memphis. The ancient accounts surrounding Horus have many parallels to the story of Jesus. Some skeptics claim that the early Christians borrowed the idea of a dying-rising deity from the ancient Egyptians or from the Roman Dionysus cult. That claim has no historical substantiation, however. It fails to take into consideration that the New Testament writers were biological descendants of and the heirs of the Horite Hebrew, and they saw Jesus as the fulfillment and embodiment of the descriptions of the long-expected Son, born miraculously by divine overshadowing. This is how the Virgin Mary conceived the Son, by the overshadowing of the Holy Spirit. (Luke 1:35). The word “Serapis” is a fusion of the names Osiris/Horus and the long-horn Apis bull. The Apis bull was the totem of Hathor, Horus’ mother. Her crown of horns cradles the Sun as a sign of her appointment by divine overshadowing. Though the main library in Alexandria was destroyed, ancient scholars were still able to access a "daughter library" at the Serapis temple located in another part of the city. Around AD 197, Tertullian wrote: "To this day, at the temple of Serapis, the libraries of Ptolemy are to be seen, with the identical Hebrew originals [the Septuagint] in them" (Apology, XVIII). In a 134 AD letter to his brother-in-law, Emperor Hadrian wrote, “Egypt, which you commended to me, my dearest Servianus, I have found to be wholly fickle and inconsistent, and continually wafted about by every breath of fame. The worshipers of Serapis (here) are called Christians, and those who are devoted to the god Serapis, call themselves Bishops of Christ.” It is evident that the early Nilotic Christians recognized the Messianic symbolism of the Ra-Horus-Hathor narrative. Related reading: The Social Structure of the Biblical Hebrew (Part 1 of 7); Who is Jesus? ; The Urheimat of the Canaanite Y; Fundamentalism and Syncretism in Hebrew History; Ha'piru, Ha'biru, 'Apiru or Hebrew? ; The Priests of Nazareth; Righteous Rulers and the Resurrection; The Virgin Mary's Horite Ancestry; Was the Virgin Mary a Dedicated Royal Woman?